This season’s hottest accessory (children) has some pitfalls. More and more celebrities have been bringing their kids to Fashion Week, to perch atop their laps and assess the latest designs by adults who are not their moms (or, in the case of Harper Beckham, are their moms). We’ve witnessed them premiere this season’s wares, we’ve listened to them bemoan their boredom, and we’ve watched them commit the most unforgivable of fashion sins: annoying the hell out of Anna Wintour. But why? 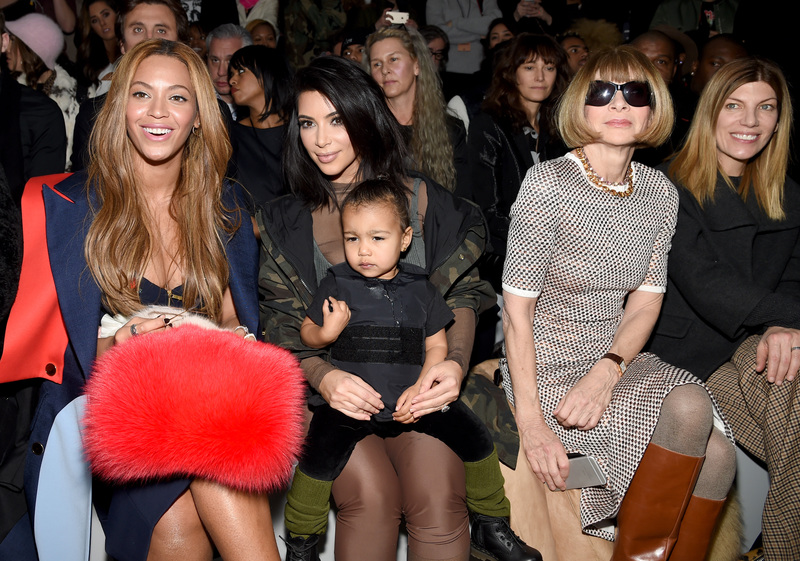 Why drag a small person who has the emotional tolerance of a tennis ball to a fashion show? They don’t need to be “present in the scene.” Most or all aren’t even old enough to know what a “scene” is. For cultural engagement? Why not take them to a museum and let them loose on something they have a better chance of engaging with, you know? It’s worth stating that I am not a mother, so I have little experience with the interests of toddlers. But what I can infer from Harper Beckham and North West is that fashion is not for babies (with the possible exception of Suri Cruise, who seems to really enjoy it). So provided all of the evidence, here are five good reasons to leave your kids at home with the babysitter during Fashion Week. Nothing spells out “chic” quite like the wails of a cranky, weeping child. Expensive outfits for you are one thing. Expensive outfits for a growing person who will no longer fit in them a month from now is insane, and baby's don't need bulletproof vests. Q: “WWBD?”A: Leave the child at home.